Crime and violence remains a problem in cities throughout the country. The challenges with both are issues for communities that cross all lines. Black and Brown individuals continue to be at the center of gun violence by police and gang hostility has also seen drastic growth in many cities. 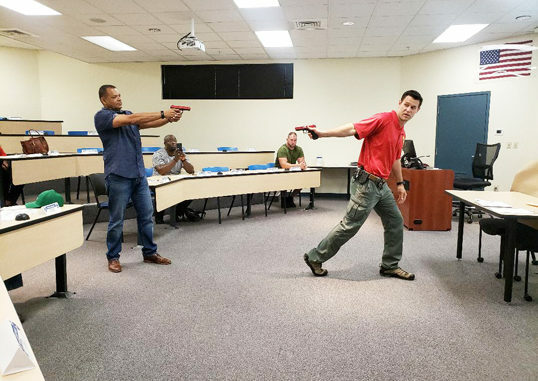 In an effort to combat the tension created between the public and law enforcement, a training was held last weekend at the Northeast Florida Criminal Justice Center inside Florida State College of Jacksonville (FSCJ) Criminal Justice center on Capper Rd. Local citizens, leaders, nonprofits and the media attended the Community Stakeholders training as a starting point for more dialogue between the public and law enforcement. 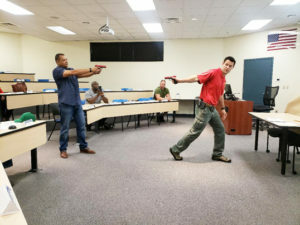 Presented by Bethune Cookman-University (BCU) Criminal Justice professors Dr. Randy Nelson and Dr. Kideste Yusef, the instructors engaged participates in real life scenarios to provide context to the split second decision making process of law enforcement enforcement. The training is designed to identify and examine past and present factors that may contribute to negative feelings or attitudes some individuals and communities may have toward law enforcement. Participants were introduced to various strategies to increase safety and security of their community and simultaneously build positive relationships with local police. A key component of the event was a community engagement portion where the public was able to to ask questions and present solutions to counteract stereotypes, unjustifiable shootings, and other issues that continue to drive a wedge between community stakeholders. 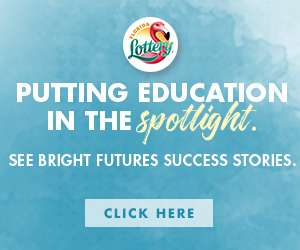 “The exercises were an eye opener! I’ll never judge another police officer again,” said Javon Woods, Jax Youth Work Director. “During the simulation I literally could have murderer an innocent person. We urgently want our Jax Youth Works students to attend the training to comprehend the affects from the officers and community point of view,” The next Stakeholder meeting is scheduled for Saturday, April 20th at 9 a.m. Shown is Pastor Shawn Berry and JSO Sergeant Scott Rammage demonstrating a laser gun reaction versus action simulation scenario. To register and for more info call Mr. nelson at (306) 481-2000.